Hum… I lost my great grandmother last Saturday. 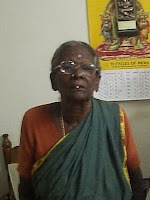 She was 87-year-old and its unexpected that she left us and still unbelievable she is no more. She is a very special and elder person in our family and more like a moral support and guides through our mistakes. For everyone in our family she was united with our lives, the very special and care taking mother. She is my dad’s mother, my mom’s grandmother as she related with both my parent she was very special and secure for us. To tell she spend more times with me in home and share my loneliness most when others on there work. 87 years of life thinking today is uneasy, and she was the one would be in physical active till her last 10 minutes of life. It was that 10 minutes gap takes away all, the sudden shock wave to all. Granny’s health was suffered for the last few months, being a diabetic patient herself had a very week heart that we never know it going to stop that day. Mom called dad from hospital that grandma is struggling to breathe, so they taken to ICU, but before dad arrive, grandma lost her breath. The last rituals went on Sunday, as per rite dad have to stay for some 16 days in our native home in adyar, where my uncle lives and granny was rested there before blazing. So we have to stay with him for some days, and it was grandma’s wish that we all should live together in same home when she was alive, but unfortunately it haven’t happen for last 2years. Though it was uncomforted for me, if not lifelong, dad decides that at least for these 16 days we have to stay with my uncle family and it will be console for each other. Every moment we come across, her memories and sorrow, comes along the feeling of missing grandmother. It was more suffer comes thinking those moments, the only memories lives with us. Same time pleasure sharing with cousins and staying in the place life passed for 20 year to me, sitting on my favorite balcony thinking of grandma, the old memories of being residing there, and the surrounding differences and people comes closer. Want to share more, but time is little, I just came home to check mail and to post a blog on my absence here. Take care all, will be back soon. hugss. This is a song promoting the upcoming release of Saroja, the one I was looking after the impress created by the Chennai-28. From all commercial typical, direct Venkat Prabhu comes with what exist from his mind that flows like uttering stream. It’s a first attempt in Tamil a song completely using the English verses and scores in western number. The song feels familiar, but it sounds different in voice of Tanvi whose expressions are enough to be aptitude. Cool video, enjoy. It was the plan of visiting some interior places in Nilgiris, but unfortunately the cold drives us 2 days before the actual plan and we drove towards Mysore by 6pm, what I was looking for early climbing down before the darkness surrounds as the road take us to Mysore is through Mudumalai wildlife sanctuary, so I can view wild animals, but almost it was already night then. 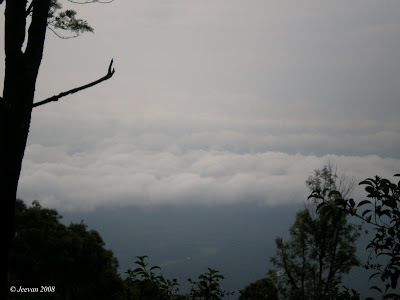 I could tell it was ever I see the nature like that to view the clouds around like a cotton bedspread beside the valley from climbing down hill (last pic). Half our way hill was smooth road comforts for pleasure driving and on way glanced a black monkey (karung kurangu) crossing and climbing the tree such quick. 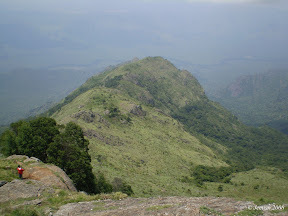 Some distance away got the frog hill view, where we could find a hill similarly to a frog sitting (pic1). 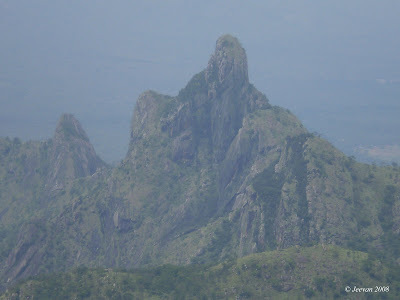 I never know it will take much time reaching Mudumalai, last time we were on the highly risk route through masinakudi reaching Mudumalai in short time, though I like traveling it was newly experience crossing a wildlife sanctuary at night. 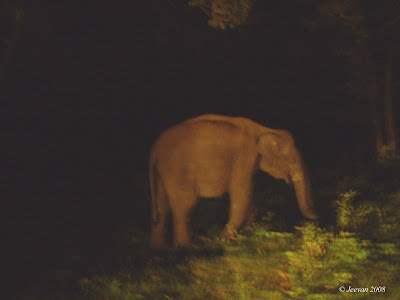 I was keen to how come visible animals in dark, after a sip of coffee in a Gudalur we headed towards Mysore. In search of animals and few kilometers then sighted a group of 6 elephants with there calf’s very near to road in touchable distance, but our frighten members in vehicle want to move fast, so clipping missed. Then comes another dusky bulky elephant, no nice the night patrol interrupted getting slow, but somehow I manage to get a picture of a middle-size elephant on my side. It was our uncle in Mysore kept calling every half hour enquiring were we are, and it was his house we get to stay, and he was waited on a road junction to directly take us to home. He is staying in suburb area of Mysore near to Chamundy hill and to check the time it was near 11pm eating our dinner there. It was strange feel after long time, to stay at unfamiliar place and his children are never faced us then and don’t know whether there are some relation like us. Next dawn it all changes lighter and they began moving closer with us, thus reveals them to put off a day from schooling joining with us visiting places, along like a guide telling routs and to communicate in Kanada. The three kids where lovely and so sweet in behaving, esp. the mid-one deepika was such adorable and soon she began fondling with our pet maya. The elder girl was very quite watching what’s happening and bears a beautiful smile always; the last boy was very smart, rarely talks, but tenacious until he gets something. Mysore is not new for me, I have been visiting here 11 years back and the same procedure continues this time too, following visiting ooty and Mysore. After breakfast, climbed the Chamundi hills and it was the elder kid shows us the right path after little confuse for herself. She talks fluently in Kanada and it was her help for me getting near to temple, speaking to the security persons to allow me. 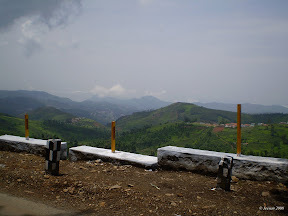 It’s indifferent everything to me, the ghat road, views from summit and the Nandhi except the parking facility. Next we headed to Mysore Palace; here I stayed in vehicle of inconvenience and my grandpa stayed with me for company as this place and palace is much familiar to him, thus he was a tourist diver then visiting Mysore often I get the opportunity to share his experience and information about the Palace! What I was looked forward soon the plan was to Mysore is... would continue in another post. Thanks you. Was tagged by Vishesh. Something different. countless the list…. 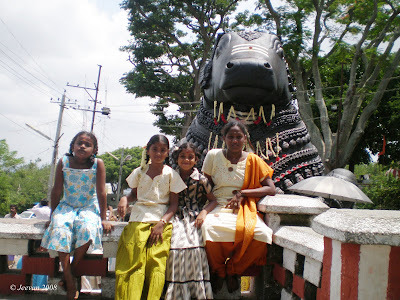 But the one in recent is Uyirile En Uyirile… from Vellitherai, I like to listen the melody but not the video. I come across many books earlier and my introduction to books are very little. The one am looking forward to catch is the Progressive version in Art of Living. * Somewhere you’d never thought to go on holiday/vacation, and why it might be fun to go there? Brazil. For the amazing Amazon, Rio de Janeiro and carnival festival. So much, except from familiar South Indian dishes. Have seen the paani puri stalls somewhere around, but never thought to taste, but should do one day. I hate much hanging on the single most game Cricket. In my childhood I tried more games with friends, but still very touched is the Gilli danda. In our street back, we sight more elders to us play this game and have listen to mom saying her experience playing this game with her siblings. If I became a dancer I will answer. IT professional, I don’t like just fall into this ditch and I won’t because am not educated to it.. If am not abnormal, I would choose the agriculture is best. A bright shining star, what world see it in wonder. a question: what will you do if we send you to the place you wanted and tell you to play? I play until I get bored or tired. * If there’s one thing in life you wanted to do, and will do because of this meme, what will it be? Farming! It’s becoming the sinner part of our lives and it reflects dim faces on us and what is behind price rise. People interested can do the tag on there own pleasure. Thank you. 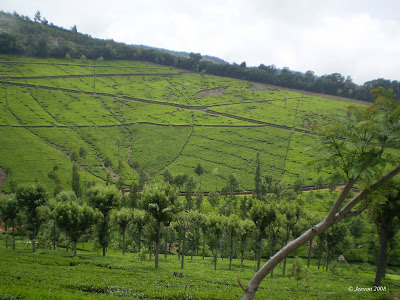 Kotagiri have a salubrious climate throughout year, comforts to say it’s the second most wonderful climate in world. 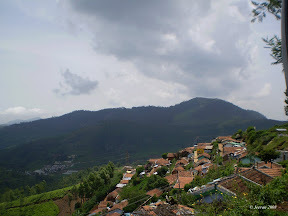 It’s the name that refers from the dwelling peoples of this region, the Kota tribes hence those are similarly and closely related to the famous Toda of Nilgiris. Kota is the name derives from the word ‘Ko’ means the cow and it believed that their ancestor where living in cows and thus the place they survive called Kokkal, the resting place of cows. 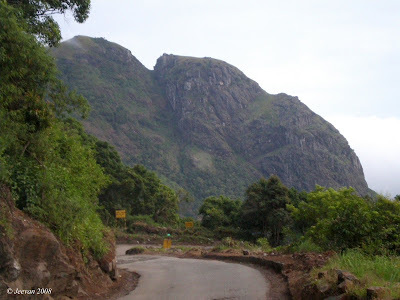 The connecting of Kota-giri comes in mean of ‘mountain of Kotas’. 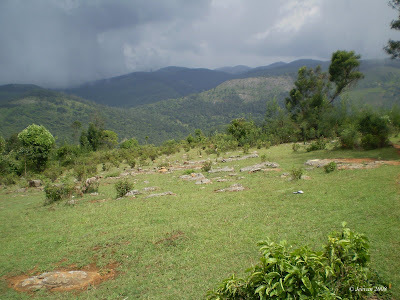 Though they are pre-historic living in slopes of Nilgiris, some study find they are migrating from several other places like northeastern countries and somewhere near Sudan. The journey of the Kota tribes began in the early years of eighteenth century and after more than a century back they came encountered with Europeans. The Kotas are developed in traditions of artisans who are experts in art of pottery making and terracotta baking. And they have this very different culture of painting blue color on the faces of teens. This is what they believe in ghost, thus the child must die to become a man and the blue color is refers to death of their childhood. The costumes and dresses of these tribal add beauty and glamour with their dread color of blue paints on there face. This is a common belief in almost tribe communities and like offering wild beasts. In the modern day society and getting their children the education these sacrifices turns in offering money and gift, instead of wild animals. And they are the tribes whom reluctant and reclusively to meet or mix with any other outsiders. Thus they are currently counting thousand and getting least fast. The Kota is the community develops their own system and every village has a leader acquired on the basis of their relations. He bears a role of arbiter with his political duties and responsibility; he is also the supervisor of religious rites and rituals. Their house is one I pictured in my travel, is an unusual view in huts. The bark house! These houses are similar to Todas dwell, is elliptical in shape, little beneath earth with either sides of wall enclosed. To get into deep, the hut has a tiny entrance (like a mouse hole to me) with 3 feet wide and tall. 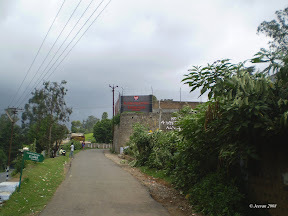 The entrance is mean to be small to be protected from wild animals and the front wall is shaded in strange black design and bamboo sticks to bend the roof. 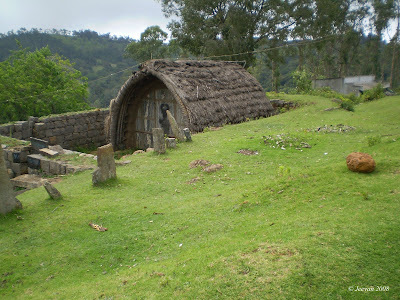 To know these are the houses still exist rarely in Nilgiris and among the most are shifted to huts and concrete roof houses. 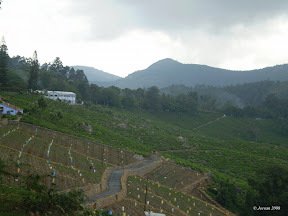 The 15km drive from Kotagiri reaching Kodanad is full of green tea estates, somewhere people picking leaves and villages with factories besides beneath sending smokes mixes with mist and the rust lands yet to cultivate. And what more, the rain yet to come circumstance and dark clouds covering peaks are just amazing and pleasant ever. 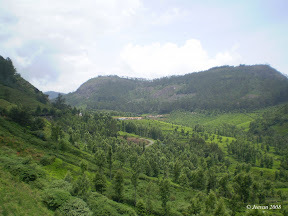 The road finally end at the Kodanad view point, where the road keeps on stretching, I am searing and still kept going around the green estates…. And thus I seek, hence I can’t visible the Kodanad estate big-house belongs to the former CM of our State and the time she was staying there when we were. Little far that sights the Rangasamy Peak, from the view point, that seems like a holy hill for the people on this region and it’s like the peak refers to a divine. 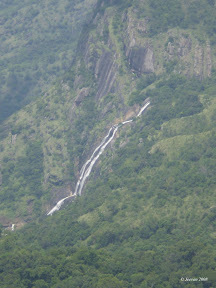 It conforms through wiki, ‘this is a shrine visited by thousands off pilgrims from kongu region and other places yearly.’ Just right below glanced a quite beautiful falls, flows like milk poured and far away through blurred mist, visible a squirm path that thinks to the Bavani River what my cousin told. 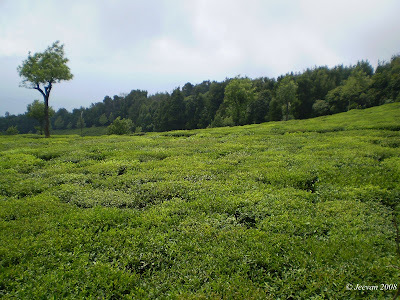 More than the peak and valley, it’s the green tea gardens surrounding the places simply fresh the views and clean air and weather situation feels awesome… want to be there again sometimes later, just sitting on the monkey’s seat, ‘the defense stones on ghat roads, where monkeys sit often’, and enjoy my stay quite alone just like that. 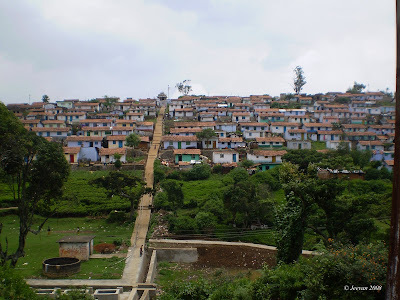 It was nearly 4pm we get back to hostel in ooty, ate our lunch and get packed things climbing down the other side. The majority of those wish is to visit Mysore and it was delayed by 6pm in evening climbing down in dusk. The southwest monsoon is in rush, seeing the dark clouds to saying ‘if u stay here I will hit u back’. It’s another fun and thrill to write on traveling on this stretch towards Mysore, clearly its night going on the forest ride. I just want to extend the writing on this elevation, so it may continue in other post. Thank you. Actually I was thinking it must be some usual film with hero impersonate in different getups. But no, I am almost wrong in guessing the film and felt surprise at each and not even to think it’s a universal actor behind those easily sighted odd figures. I sense here, where in any place can’t feel the other person is same. Only to think, I wonder at this great fantasist film in his sight changing. 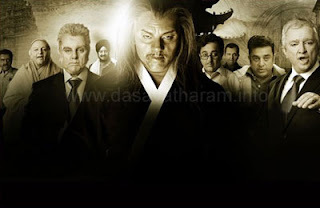 Have seen more films under this category, where each character would have some similarity and to be easily identified, but Kamal Haasan has done a great job in Dasavatharam taking away most important character as him and aside proving there needs an actor not the face. Taking inches of a blue tube spreading virus, Kamal staged all sorts of entertainment and actions. To mention importantly the chasing scenes which are more powerful and grand alike comes in Arnold and Bond films. The flying helicopter in chasing and gun shooting action sequences are like Hollywood quality, which is something new for Tamil. For nearly half-hour there was the confusion state of what is happening and the disturbance of US language and unclear subtitles after the rare piece from the history. Further it slowly gets into the track and surprise at each characters affiliation into the story. Especially the Balram Naidu the one in his voice and body language expressions stands still in mind, the way he makes laugh as investigating officer and in chasing scene was well funny. And the second most liked character is the 95-year-old women. She not alone makes fun and also touches with the innocent inside her. This must be difficult one, well kamal shows how talented he was in bending to the figure and expressing to the nervous vibration to give a real effort. A great attempt! 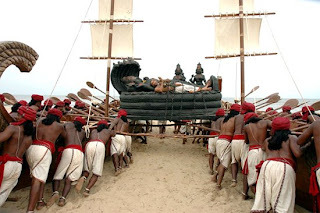 Back to the 12th century of empire period, we get to see a strong and bravo Kamal as Rangaraja Nambi who tries to stop the Chola King destroying his believable Vishnu Idol from the temple. It was such a grand venture with pictorial excellence merges in real and graphical along with the music to tell wow fantastic! The bad ex-CIA officer Fletcher nearly comes equally to main character and it stands on screen for more than the character on the perfect makeup one could challenge. As up to a point I can’t identify it is also an avatar of Kamal! The Japanese character and President Bush, visible the mask fixed on face though it was nice and I see those are just to add the avatar. And the naughty monkey’s end in the lab and in climax same happens for the ex-CIA is something aversion. First time watching the songs, what exist in mind thinking past comes down little. The song Oh... Ho... Sanam presents the effort its courage and excellent dance moments and the beautiful pair Jayaprada and kamal. Mukundha Mukundha is the all time comforts in mind. The pictorial was enjoyable. I feel, without Asin (heroin) it won’t be at all nice and her innocent anger and get on saving her perumal idol she feels lovable….. None other than her can be imagined filling the character of Andal, loving Perumal. ‘One, who is unaware of this film and Indian cinema would really get wondered by this film and our actor,’ is what am tell to dad while returning from drive-in. Oh, it started to pour heavily after by interval to put us inside car to watch in mute for sometimes where it incompletes the dalit social worker enters in stiff dark face and eyes. Kamal shows a very different voice here! If one misses the end song is missing the worth of the whole creative and hard work at every characters difference. I wonder why some people tell this film is waste and Shivaji is best, but for me it’s excellence in feeding advance and showcase talent. What gives disappoint is the disappearance of the very early 12th century and left untouched then. I can’t understand what relates this to the narration and what the idol exist in last tells. And what not, he brings a bunch of actors across and used as per adding sugar. The tsunami was a real fantasy more than the only few scene remains then which is one mainly expected. For every question of the character they answered in end. Little disagree may comes on expect, but just comes by gives great amazement which I get watched. * More patient and believe anything is decided within is safe and better. If not this, don’t know where would lead my life. * Won’t like my entry into others right or time, and won’t let loose mine. * I don’t like someone is disturbed by me, but worries more that am living against it, with no other way. *my parent’s are my life, I can’t think a day pass on without them. * Follow everything by time with nothing purposely doing. * My sister who left to her town without telling me, I wish she would be staying for short long time with me. * My dear brothers, whom I call like. Those are some never forgettable people in my life, the support and comfort which I experienced in their presence then. * Those said to be my best friends, both in online and in practical life. * Wandering everywhere on my own foot. *To hold on my blogger mates permanently, if not possible all, at least some dears to me. * To stay in the hearts of people for what I am. * Get a job which is comfortable and stress free to work from home. *To meet and get in touch with my lost dear ones. *Improve my knowledge and fluent English. *Buy a 4X4 SUV and go around anywhere I wish, and on off-roads. *Just out of dreams and imagination, i need a real girlfriend. * Want to watch more good films out of Tamil cinema. The series problem presently we face is the petrol and diesel inadequacy in fuel stations throughout Chennai and suburbs. ‘It’s a temporary lack because of the delay of tanker ship to arrive’, the companies complain to customers. ‘I stay in line for more than 3 hours and our requested liters are not filled; what they ask is great price which doubles the amount for a liter’, public voice. I don’t know whether the lack has lasted before ever that too throughout a city and its surroundings at a time? After the price rise of fuel by central govt. thereupon the ordinary petrol are unavailable in many fuel stations and only premium are forced as burden upon then heads. Today and yesterday city sighted the vehicles standing for a long row which extends along the roads for getting petrol and diesel, and the heavy traffic jams everywhere took hours to clear. What we have to realize now is how important the fuel are and to learn to make reduce them and avoid unnecessary use of vehicles. I wonder now, how much liters of gasoline must been released into atmosphere everyday and just a day of inadequate makes big trouble in peoples life. Thinking about what’s important to the current life and not to waste unnecessarily what are to save for our future. Just coming out of person, the three important things what everything is depending within are the Water, Fuel and Electricity. Because without these three, life faces big setback and there is no life to survive. The nature has given more than enough, just not for us alone, for every life on the earth. How much do we care on saving electricity? By saving it we not only reduce our monthly electric bill but also the shortage can be adjustable and it avoids wastage of energy which produce heat. There are some what money can’t buy and the intelligent and awareness brings more for our life from nature. One on the line is solar energy and wind energy which brings electricity from the natures given. Solar water heater is a very useful tool to bear electricity, which takes more energy to heat water. Recently I felt it pleasure bathing on this water, something like that I have taken sun bath. Not more warm and cool. In our cities we rarely see those heaters on terrace and the more aware on using it must bring front, and after just feeling that I wish to fix the solar heater to enjoy the pleasure. What are we wasting today is like the water stored in our pot, as we take tumblers of water it begin to reduce and once tumbler hit the pot over’s all. Fuel is what like our pot of water, which is a limited existence on earth. How could it be ones it void earth ? What we seen in development struck then. The only other option in use is to produce more Biofuels thought agriculture and plantation which needs water, the important sources and a different subjects according to states and countries. So the things are related within three. Water to Live, Fuel to Transportation and Electricity to operate multi electronic systems, that’s mean to move life more easier and pleasurable. The current critic that something makes the central govt. to walk on knife is the Indo-US nuclear deal. I need to express, that political entry on protesting of often electric shortcut needed to be thought why it happens, if it was like this then, what about the future. Where do we go and hang for electricity. Those oppose the deal have some own party manifesto, but how could it be a national policy and to enter its interest on need. I see there is some control and restrictions on making this Indo-US agreement, looking into future India should be clear before going ahead that in any way it not affects our self protection and it does nothing with defense secret, the main reason for this deal is to use nuclear for civil use alone.